I felt the whole experience was easy to understand and was pleased how my case settled. I would recommend Thompsons Solicitors to my friends and family. Kepp up the good work. The staff have been very helpful and informative throughout the process. Very professional and brilliant, couldn't have done it without you, with a great resolution. Found all members of the team with whom I came into contact to be courteous, efficient and highly professional during the successful prosecution of my claim. Excellent service. No issues at all. Thompsons provided a very efficient and professional service, also kept me informed and up to date at all times. Just want to thank Hannah and Jonathan for the excellent service they provided. Always had time to listen, always returned calls if I went to voicemail. Would highly recommend. Eilish kept me up to date with all aspects of my claim. A first class service is what I received, any telephone conversations were done in a professional, personal and sympathetic manner from all, thank you. I found the whole claim process to be easy and quick. Thompsons kept me informed and I hope I never need to use them again, but would have no hesitation if I needed this type of help in the future. Thompsons Solicitors first class. I would recommend them to other clients. Thank you for your service, it was so easy. Didn't know about claiming for my accident from 2 years ago. Seen adverts on TV but never thought about a claim. It was easy from start to finish. A sympathetic and non bias approach to my claim. I am very satisfied with the help provided. I was delighted with your service and how quick you dealt with it. Excellent service, case was dealt with efficiently and to a high standard. The service I received was excellent. Always kept up to date with new information. I have been extremely satisfied with the service I received. The process was explained fully from the start and I have never felt mislead or unrepresented. The process appeared to me to have been dealt with expertly and without delays. Could not fault the service I got kept in the loop when needed, first class. Thanks again. I was pleased with your service. I thank you very much for helping me Joel, you did your 100% best and I am very pleased with the outcome. Very good service always kept me informed on what was going on. Joanne was very nice. I am very pleased with the service you have provided and I will surely recommend your services to friends and other people seeking advice. Great service due to Jayne Crawford discussing all aspects of the case in easy to understand laymen terms. My solicitor was very thorough throughout the entire procedure. Polite, courteous and very understanding. This made the experience a whole lot easier on me. I will be recommending Thompsons to anyone that asks me for advice about legal services. I cannot thank all of you enough for your help and professional services. I expected this to be a tedious, stressful experience but thanks to the way Thompsons walked me through each step I found that it was much less worrying than I had thought. Special thank you to Stephanie Young. Helpful, friendly and approachable solicitors. Explained every step clearly. As I have never experienced anything like this before you were very informative and kept me updated at all times. Fantastic service. Thompsons Solicitors made the whole process easy and stress free. Thank you. Very good service kept me well informed of any developments. Very helpful. Friendly and accommodating with any questions or queries I had. Always willing to talk and chase things on my behalf, could not have asked for a better service. Thank you. Your service provided was helpful and efficient. Friendly and helped me understand clearly all information given. I was very satisfied with the service provided. I would just like to thank you for everything you did for me. If I need help in the future I know who to call, thanks again. Very helpful and could not fault the service in any way. Thank you Laura for everything you have done. My experience with Thompsons has been excellent, I have been kept fully updated throughout. I was treated with respect and were very sympathetic towards my injury. First class service - I was kept informed throughout the process and I am delighted with the outcome. Many thanks for everything. My solicitor was very helpful and I was very pleased with the outcome. I am more than pleased with the outcome. The staff were helpful when dealing with my claim. Very imformative and helpful. All Thompsons staff have been lovely to deal with. Very helpful and kept me up to date with everything from start to finish. As I was kept up to date with everything that was going on I would strongly appoint you as lawyers again and recommend you to anyone. Your service was excellent and I would recommend you to everyone. Very quick and helpful. Would use again. The duration it took for my case to be resolved was not a reflection of Thompsons. Thompsons were patient and informative towards me throughout and have been successful in pursuit of my compensation. Many thanks. Always informed on my case, when I made phone calls I was always given any information I requested. My case has been dealt with quickly as I thought it may take over a year. I would recommend Thompsons to anyone. Many thanks. Thank you for everything you have done. Really happy with the service. Great service, always kept informed of what they were doing and what has been done so far. Good professional law firm, would use again and again, excellent to deal with. Very pleasant and easy to work with, would highly recommend. Thank you for very quickly settling my claim. It was handled very professionally and to my satisfaction. Thank you. I personally can't fault the service provided by Ann Marie Harbison. She kept me well informed throughout as to next stage etc and what was happening next. I found her courteous and approchable. I had an accident at work, the lawyer I met was very helpful and made me at ease in a difficult time in my life. Thank you for all your help. Your service was excellent. All correspondence was very clear and getting to see a doctor done promptly. I have no hesitation in recommending you to other people. Excellent service from start to finish, Wendy was very helpful and professional in dealing with my case. I found the service excellent and very professional and was kept informed. Very caring always kept me up to date with everything. I was kept informed of proceedings at every stage. Laura Connor was very helpful and made the experience a relaxing one. She was very good with her advice and I would recommend the firm to anyone that was looking for legal assistance. I can't thank Laura enough and the firm for their help with my claim. Service was great. Everything I asked for was explained to me with patience. Very impressed with the amount you were able to get me, I didn't expect that amount. Communication throughout the whole process was good. Was very pleased with the outcome thank you very much. No complaints, well mannered and very professional. I am very happy with Thompsons Solicitors service, I used this service before and would recommend to anyone! Service was great and I was continually kept updated, thanks. Very helpful and efficient. No messing about. Kept up to speed of all aspects of the claim and can't ask for a better service. Thanks for handling my compensation claim everything has went smooth and uncomplicated and I will recommend Thompsons Solicitors. Thanks again. Thank you, very happy with the service I received. I was so happy with the compensation your solicitors got me, I would recommend your office to friends and family. Thank you again. Very happy with Thompsons, you did a great job! Thank you for the attention I received from your compnay and the way it was dealt with. I was grateful for the help, encouragement and support given to me by Thompsons. Very pleased with the service, updated regularly to keep me informed on my case. Excellent service, thank you so much. I am very pleased with the service Thompsons provided for me. They kept me informed and up to date with my claim. Found the level of service vert prompt and dealt with professionally. Was very happy with the outcome and would definitely recommend Thompsons Solicitors. I didn't need to worry about anything with Thompsons, they took care of everything I was really grateful for that as I've never needed a lawyer for anything before. Excellent service. All phone calls and correspondence answered immediately. Really impressed with the service from start to finish. Can't believe it's been resolved so quickly. Very helpful and understanding. Jayne Crawford took time to explain everything I didn't understand. I would recommend Thompsons. I would like to thank Laura Connor for all that she did for me with reference to my claim, the way she communicated with myself was first class, I would also like to thank the union for recommending Thompsons and if in the future should I ever need help in any legal matters I would not hesitate to come back to Thompsons. I don't have any negative comments regarding my claim. I can only thank the team at Thompsons who fought on my behalf. Very good in all aspects, thank you for your help. I found Thompsons to be very helpful, informative and gets results. The service was excellent and kept me up to date at all times. Service was professional, I would recommend your services to anyone. I am very pleased with the service I received from everyone, thanks for all your help. I was very happy with the service I received from Thompsons and the lawyer I was appointed was very informative and helpful through all my case and was always available to answer any of my concerns. Was very pleased with your service, I would recommend you to anybody I know, thank you very much. Very pleased with the service. Laura Connor was most helpful and kept me updated regularly and gave me excellent advice. I would recommend your service very highly to everyone. Great service, thank you for al your help. I am happy with the service provided by Thompsons. Thank you for your help in what was a smooth and stress free experience. Very easy process with experienced and helpful staff that made the whole process very easy and stress free. I was very happy with the way you dealt with my case. First class service, always at the end of the phone to answer any questions. Very helpful. The service I received from AM was excellent, she guided me through. The service was first class, and the comunication excellent which helped put me at ease, which for me was a difficult situation. The service was first class. Everything was smooth running. Thompsons service would be highly recommended, no problems. Thank you. I would just like to say how Thompsons helped me with their experience and knowledge on how to progress my claim. Thank you. The service provided throughout the whole process has been very professional and supportive. I wouldn't hesitate to recommend Thompsons. I felt you dealt with my case in a good way, you listened. Happy with the service received. I would highly recommend Thompsons, the service was second to none, could not have asked for anything better. Marina made sure I understood the process. Thank you for the help you have given me, service was fast, happy now it's over. I am very happy with your service and I will pass it on to the family etc. I would recommend Thompsons to any person I know as you were top class in the handling of my case, many thanks for doing so. On behalf of my husband he has to thank you for all the work your company has done for him. Now he has a settlement he can now get all the best help. We both thank you so much, it means a lot to us both. Eilish Lindsay advised me on every step and showed real interest in my accident. I would hugely recommend Thompsons Solicitors to my family and friends should they ever lawyers help. Thanks for your assistance. Amazing staff, excellent service and great outcome. Many thanks. Excellent service, very pleased with the outcome. Will definitely use your services again if needed. Many thanks. Thompsons done a great job with my compensation settlement. As a client of Thompsons I feel I received a prompt, efficient, honest and reliable service. Mr Argue was very pleasant and courteous to deal with. Matters progressed very quickly, I am very satisfied with the outcome. I will not hesitate to recommend Thompsons to my friends and family should they require this type of service in the future. I would like to thank you for your excellent service and to your staff for their friendly attitude when answering the phones. Many thanks for an excellent service. I was kept informed at all times, great service. Friendly staff, efficient services. No issues. A very good service no trouble at all. I found Thompsons very helpful. They are quick and easy to work with, the service was great. Excellent service, friendly staff. The whole process was made very easy by Thompsons professionalism and regular updates. I am recommending Thompsons to everyone I know! Thanks again for this successful outcome! Excellent service, very happy with the level of customer service. Great service, Eilish kept me updated and talked me through all of my options. I would recommend Thompsons to anyone! Great lawyers, very pleased with the outcome, would highly recommend Thompsons lawyersto friends and family. Completely satisfied. Thank you for everything. Good service, good people, helpful. I was very happy with the speed and efficiency of my claim. I found that seeking legal assistance from Thompsons Solicitors was the best course of action for me. Their legal expertise was what I needed to win my claim and recover funds I deserved. I feel a huge sense of relief. Very pleased with Thompsons solicitors they took care of everything all I had to do was fill in the paperwork. They kept me up to date with all progress and advised me as well, would definitely recommend anyone using Thompsons. Extremely grateful for all the hard work they did. Friendly service, always kept up to date. Hassle free, no stress. Thank you. I should like to commend Jennifer Gilmour for her superb work and support during my claim for compensation from the City of Edinburgh council, and which reached a successful outcome. You will appreciate that while for her and your excellent advocate the process represented standard professional practice, the experience for me personally could have been extremely traumatic. In the event, however Ms Gilmour's most approachable and helpful manner, being always available to deal with queries, however made it so much easier for me to deal with. From beginning to end I have received excellent service and advice, very professional and clear advice. This case was handled efficiently and with a friendly attitude. I would recommend Thompsons to my family and friends. Stewart has been brilliant with me from start to finish. Couldn't have asked for a more helpful solicitor. Also the result he got for me was astonishing. I am happy with the service provided. The team have been very helpful and made it as stress free as possible. Many thanks. Great service overall. I got replied to every single time I phoned or e-mailed. Friendly service, 100% recommend Thompsons and will go back to them in the future if I need to. Thank you. Very pleased with the service and have had a good experience, thank you. I am happy with the whole process of this claim. Thompsons have been very informative with updates and correspondence. Telephone calls were regular and overall a positive experience. I would like to thank the way Jennifer Gilmour handled my case. She did an excellent job. Really happy with the service from Thompsons, was excellent. I have two cases and on both occasions excellent service and special thank you to Hannah Bennett who dealt with both, highly recommended. Outstanding I can honestly say your service was second to none, You took your time to explain everything, I will always recommend Thompsons. I was very happy with the outcome of this case and I appreciate 100% how professional and friendly my case was handled. I will recommend to family and friends, thank you. Just would like to say massive thank you for all your work helping me finally get some justice. Excellent customer service. Efficient staff. Never kept waiting on the phone. Well done Thompsons! Quick and easy service, no hassle. Hannah Bennett very polite, very easy to speak to and easy to contact. Efficient service. Very pleased with the whole process, many thanks. Good service, everything explained and advice given in a way I understood. I would just like to thank all connected with the help I received with my claim. Made it easy for me. Very helpful and understanding - dealt with very quickly - thank you. Great service, Neha Sood explained the whole process and was always there at the end of the phone for advice. Frontline admin staff were also very helpful. Very good and efficient service. I would highly recommend your firm to family and friends. I was very pleased with the outcome of my claim. Been very helpful and kept me informed at all times. As I work away from home Thompsons have been very helpful and patient with me responding to letters and e-mails. I would like to thank Thompsons for all their help. I was very happy with the service I got. We were on a no brainer. I have had an excellent experience with Thompsons. Everything went smoothly and everyone I spoke to was very helpful. Thank you. Very pleased with everything you done and the outcome. My husband and I are very pleased with the service we received from you, we could not have hoped for anything better, we would like to thank you once again for all your help we could not have done this without your help. I can't thank Gail and her colleagues enough for all the hard work they put in to my case. They made it feel personal and stress free from start to finish. The level of satisfaction and relief from the conclusion of my case is out of this world to which I can't praise Gail highly enough. Thank you for all the hard work Gail. Most informative and easy to contact. Staff were very helpful and supportive, I found that staff kept me updated with my case and what was going on. Staff were very approachable and very understanding. I am pleased by the way Thompsons dealt with my claim and the way they communicated and advised me from the start of my claim till the end. Thank you all. The work you have put into this has been fantastic - I hope I don't have to contact you again but if I do, no problem. Excellent customer service - prompt action at all times. I found Thompsons very helpful, interested and professional. very pleased with how efficiently my claim was dealt with. Excellent service - very supportive would recommend. I was very pleased with my service and found Joanne Goodwin very helpful and very nice manner and would use this service again and tell my friends they need to use this service. Thank you. Thank you for making the whole experience as stress free as possible! Very helpful throughout claim when I called up looking for advice/updates. Handled my claim professionally. Would defo recommend to friends and family. A big THANK YOU to the Thompsons Solicitors team. I appreciate your friendly approach, useful guidance, and all the hardwork you have put into this case. I could not have asked for a better outcome from the case. A great pleasure dealing with you and would 100% recommend Thompsons Solicitors to anyone who is seeking help and justice. I was very pleased with the service I have received from Thompsons Solicitors. They acted in a very professional way and spoke to through my claim and kept me updated about the process. Many thanks. Carrie has been fantastic an absolute credit to the company. Very friendly, professional & listens to. Mr Stewart White was extremely helpful and efficient explaining options and the way forward which in his and our opinion should be taken. He was very compassionate during a very difficult time which was greatly appreciated. Very happy with the serive, experience and outcome. I am pleased with the outcome, thank you for your help. Very quick and efficient would highly recommend. Very pleased with work and effort put in to my case. Many thanks for all your assistance on this matter, it is very much appreciated. I have nothing but gratitude for your help in achieving a very satisfactory end to my claim. The solicitor I dealt with was very easy to talk to and made the whole process very simple. Excellent service throughout my claim. Thank you for all your help which was much appreciated. Fast, easy service - no issues. I was extremely happy with all aspects of service provided in handling my claim. Special thanks to Jennifer Gilmour for providing updates and to Glen Millar for the final outcome. Absolutely great service from start to finish 10 out of 10. I am very happy with your help, will certainly recommend you to my friends. Thank you for the very good co-operation, your company is very good. I was kept up to date with the progress, I felt they were on my side and worked hard to get me the best settlement. Thanks guys. First time approaching Thompsons Solicitors found them very helpful with my accident claim. Very happy with the service, quick easy and very professional. Friendly and very helpful. I was really pleased with the service that I received, thanks again. Excellent service throughout whole claim. Thank you. Very helpful plus fast service. I could not be happier with the service. Nothing was a problem (getting a little bit more added on to my settlement) I would recommend this service to everyone. I would like to thank all those involved with my case, I was extremely happy with the way I was treated throughout. Very happy with the service, no issues. I found all staff involved in my case all helpful, informative and courteous. The lawyer advised me in all aspects and introduced and included people who assisted and advised us in the best way forward. She was supportive, friendly and always answered my questions silly or not. Everything explained in non legal terms making the process understandable to every person. I am extremely grateful to Lindsay Bruce and Paola Sproul of Thompsons Solicitors for their efforts on my behalf. I suffered considerably after the explosion and the help and support arranged by the firm helped enormously. I still have some residual effects but I can cope with them - the cognitive therapy was especially useful. It was good that I was kept informed of the progress of my claim at regular intervals. Thank you for your help. This having been my first experience in using this service I can honestly say my fears and anxiety were put to rest very quickly. I was kept informed and updated throughout by Joanne with an excellent service. I would have no hesitation in recommending Thompsons Solicitors. Very good services and well handled and pleased with the result. Thank you so much. Would highly recommend Thompsons. Kept me well informed each step of the way. I was completely happy with the service your company supplied. Very pleased with the service provided, no problems at all. The service I have received from Thompsons has been excellent. I can't thank you enough for alll your help. A special thanks to Tammy McLaughlin who helped with my case. Thompsons have been fantastic from start to finish. I felt that I had little or no work to do. All was taken care of on my behalf. I anticipated that the duration of my case would be lengthy however I was kept well informed of all developments as my case proceeded. Alll in all it felt as though case concluded a lot quicker and was treated with respect by all involved at Thompsons. Thank you very much! Kept informed of developments as they happened. Didn't need to pursue anything myself. Excellent service provided, kept up to date with what was happening, fantastic outcome. I found the experience with yourselves to be very helpful and kept me up to date with everything regarding my claim. Service provided by Thompsons is excellent. All staff are polite and courteous on the phone. I have always been kept up to date with the progress of my claim. I am very pleased with the service offered by Thompsons. Thank you for all your help. I was very pleased with the service I received, excellent first class. Thank you. The service was excellent and being disabled I get very nervous but Mr Gordon made me feel relaxed. He also kept me informed of everything he was doing. Thank you for helping me get settlement I deserve after a traumatic incident. I think your staff are very efficient and very pleasant to talk to. Found Thompsons a top quality service. Your partner Laura Connor is excellent to deal with and very supportive through-out as was her secretary. Very happy with the settlement. 1st Class!!! I was very pleased with the service from Thompsons Solicitors. The solicitor who dealt with me on the phone was very helpful, professional and very kind. I would use your service again. Very helpful and quick getting proceedings started and finished. Very professional service and eveerything dealt with ease. I received an excellent service and would recommend Thompsons Solicitors to everyone. Very helpful, could not have been better treated. Any question, however big or small, always answered efficiently. Thank you for all the help I received it is very much appreciated. Top class and professional company. Always very informative of information regarding my case. I found the service to be excellent. Mr Vance McGhee kept me up to date at all times and provided what I believe to be excellent advice throughout. Very good job well done. Excellent and efficient service at all times. I was kept informed at every stage. Can't really say it could be improved to be honest. Hannah Bennet was always efficient, caring and helpful - A big thank you to her. Really easy company and very helpful. With this being the first time I have done this the help and advice resources was second to none, would definitely recommend your company to others. Very happy with the service I couldn't complain about anything of the service. Great service, I was kept up to speed all through the process of my claim. Service was second to none, Stewart my lawyer had a hard case since it was a sporting injury. I always had e-mails and phone calls to keep me in the loop. He made it less stressful than I thought it was going to be. So I would like to say thank you to Stewart and his team at Thompsons in general for a great service. I found the experience with my claim with Thompsons very helpful and professional. Plus dealt with quickly. Very simple and straight forward procedure, pleasant and professional at all times. I have been very pleased with the service supplied by Thompsons Solicitors and have no reservations about recommending them to anyone I feel would need professional help. No negatives, all positive results. Thank you very much. As a solicitor I'm very happy with the service that you have provided me. I was recommended by a friend and would recommend you to others. Thank you for being helpful and thank you for dealing with my claim, I would use your company again. Thank you for dealing with my claim. The service I received by all who dealt with my case was first class. My lawyer Tracey McKenzie was brilliant and kept me up to date with everything. Would strongly recommend this company. Right from day 1 of speaking with Thompsons solicitors I was kept informed of any information about my case. Anyone I spoke to at anytime put me at ease and could answer any questions I had with great knowledge. I would highly recommend the solicitors to anyone requiring a quick and knowledgeable service. I am very happy with the service I received. I felt that everything has been dealt with satisfactory. Also the lawyer listened to what my wishes were. The service I received from Thompsons was outstanding. I was treated with respect at all times. Ms Anne Marie Harbison was the most pleasant, empathetic and professional individual. She provided an outstanding service. Service provided was excellent. Can not fault Thompsons in any way at all. A very hassle free time and kept informed, very pleased with service and the outcome. Thompsons dealt with everything for me. It was very straight forward and stress free. Wasn't sure if I was doing the right thing at points when pain had gone and anger subsided, but happy with outcome for me and hopefully others. I am very happy with the service I received, I was kept informed and I am happy with the outcome. A big thanks to you. Thank you all for your very good service I had with you all. Excellent service. I could not have done this on my own. Listened to my concerns case managed in a professional manner kept informed. I found my experience with Thompsons very professional and was kept up to date with everything. Excellent customer service. I would like to thank everyone for the great work they have done and I have received a fab result in my claim. I have been impressed with the way Thompsons handled my claim. I have been informed regularly and have been very impressed by their professional and caring way of communication. Thanks very much. My first time using a solicitor and felt calm while talking with her. Very pleased with the outcome. Seonaid Brophy kept me up to date, was very informative of every step of my claim, and I would like to thank her for all her help. My experience with Thompsons was excellent. The service and correspondence was excellent. Thank you very much. I am very pleased with the professional approach to my case. Most importantly I am grateful for compassion. I am still with you for an asbestos claim, I think the staff are very helpful in every way. Thank you. I found Thompsons to be very knowledgeable and were excellent at adjusting me in relation to my case. I felt confident in them to achieve a good settlement. They kept me well informed over the duration of my claim and I am thankful to Jennifer Gilmour for all her assistance and getting a good outcome. Very appreciative very supportive and efficient, good to talk to. I found the solicitors were always clear with what was going on and kept me up to date at all times. A difficult situation made easy to deal with. I thought everyone I dealt with was very helpful and all went very well. I am very pleased with the professional approach to my case. Most importantly I am very grateful for compassion you showed while dealing with it, through the process. I found my experience at Thompsons to be very professional and correspondence was excellent. I was kept updated at every opportunity. I never felt pushed into anything and any choices have been left for me to make. I would recommend Thompsons to all concerned. Very efficient and polite. Thank you. Service was very good and got the outcome I was hoping for. I was kept up to date the whole way and you were so helpful, even putting up with my constant e-mails and calls. Very efficient service from Neha Sood and her team. Dealing with Thompsons Solicitors and Solicitor Advocates in my experience has been a positive one. Minimum fuss and updates given as required gave me an assurance and confidence in the individuals who were negotiating on my behalf - grateful thanks. Kept up to date throughout ongoing proceedings. Very happy with Thompsons and my claim would use again and will recommend to family and friends. Thanks to my solicitor and staff. I would like to say a big thank you to Anne Marie Harbison for all the work she put in. Everybody at Thompsons does exactly what they say they were going to do. Great service. I recently used Thompsons Solicitors through my trade union and was extremely satisfied with the service I received from start to finish. Communication was spot on and I was kept up to date with any issues regarding my claim. I cannot thank Thompsons Solicitors and in my case Wendy Durie and QC Hugh Campbell enough for the outcome of my case which was thankfully settled before a court appearance. Great communication, polite and professional. Thank you. My case for compensation was dealt with very professionally and with no inconvenience to myself. I am very pleased with the treatment I have received and the outcome from my case. I was very satisfied with the manner in which my claim was handled. Very efficient service. Lawyer and advocate both very supportive, helpful and understanding. Very pleased with the way my case was dealt with and would recommend Thompsons to anyone. I found the service to be excellent. I was slightly apprehensive at the beginning as I have never been involved in a claim situation but from the initial interview onwards I felt very relaxed and at ease. I was pleased with the level of communication. Also with the honest service I received. I was very satisfied and happy with the service and outcome. I have been kept well informed of the progress on my case. All staff at Thompsons were aleays helpful, polite and understanding. Never felt like "a case" or "number" but always made to feel valued and respected. Would highly recommend. Great service from start to finish. Thank you very much. Happy with the service, dealt with efficiently, very helpful. Excellent service with very professional and courteous manner. Thank you for your time. Professional and friendly service. Best regards. Excellent level of service coupled with very informative staff. I would like to thank Roz Galloway for seeing my claim through. Your service is excellent and I've nothing bad to say. You were very fast and did an amazing job. I was very pleased with Thompsons service. Everyone I spoke to on the phone was more than helpful, but most of all Neha Sood was just brilliant so a great big thank you to her. Thompsons Solicitors were very helpful, communicated well and explained things well. Good service. Well informed. Thank you for handling my claim. The service I received from Thompsons was great. Always kept me updated on my case and very well informed offering the best advice too when asked. The experience was good and I always believed working with you would get the best outcome. I wish to thank all at Thompsons, most professional and friendly. Very helpful kept us up to date with everything about our claim. Staff were helpful, polite and take time to help you understand all the details. I found you to be extremely professional, I have absolutely no complaints about the way my claim was handled. I thought the service you provide was excellent, your advice and handling of my case was very professional and expertly handled. You were honest and answered any queries with excellent and efficient knowledge. I will recommend your services to others. 10/10 many thanks. Found investigation into my claim very thorough, i.e. independent medical examination and interview carried out by lawyer. Found Thompsons office very friendly atmosphere. I am very happy with the settlement of my claim. I felt all avenues were covered and was kept updated at all times ending in a fair and proper result. I'm grateful and would recommend membership of Unison and Thompsons service they really shone through. Retired life member Unison Thompsons made me happy. From the start to the finish of my case with Thompsons I was treated with respect, kept well informed every step of the way, I felt supported. I would like to thank Joanne Goodwin for all her hard work on my behalf. She was always so kind and helpful to me in our telephone conversations and I cannot praise her highly enough. Thank you Thompsons Solicitors. I would like to thank you all for a fast and efficient service, I would recommend you to anyone who needs your services. In my experience of your service I was always treated with the upmost respect and courtesy no matter who I spoke with on the telephone. Very efficient, friendly and proper. Your service and help with my claim was very helpful and assuring. Great job and hard work! fantastic people definitely would recommend, thank you for everything. I was extremely impressed with the service I received from Thompsons. Stewart White was excellent in advising me of my options. I would have no hesitation in recommending Thompsons to anyone and would certainly use Thompsons again. I had a great experience with Thompsons, my lawyer was extremely helpful at every stage. 5 stars. Thanks for the service. Very pleased, would recommend to all, staff pleasant and efficient. I am more than pleased with the service I received from Thompsons Solicitors. Very satisfactory outcome, thank you. I would recommend Thompsons Solicitors as out of the solicitors I have been with I would say 100% Thompsons Solicitors are fab. They are always there to talk to and are very helpful. Thompsons service is great. Always kept me up to date with everything, very polite and helpful. Very pleased with the speed and efficiency of the settling of my case. Very pleased with the service. Vance McGhee and Neha Sood have been exceptional and very helpful whenever I spoke with either of them. Thank you and the advocate for all your hard work in achieving a good outcome for not only me but for my midwife colleagues who are coming behind me. Told you I had faith in you. I was right. We were very pleased with the service Thompsons Solicitors provided and would highly recommend your firm. You were very professional and experienced in the work you do. You were polite, informative and kept me advised as appropriate and acted in my best interests. Very happy with the service and professional manner of the firm. Pleased with the overall experience and would recommend Thompsons service. Your service was excellent. No complaints. Service was great and staff were very nice. Very helpful and good advice when needed, no problems thank you very much. Your service was first class and staff were very professional and polite. Have had a good experience and service. Patrick and Joel were very professional and very good at what they do. I would like to thank Thompsons for all their help in dealing with my case. The service I received was very professional and I was kept up to date from start to finish - I am very grateful for that. Thank you very much. I am very pleased with the service I received. Thank you very much. I would highly recommend you all. Many thanks for all the help you have given me. First class service could not fault Thompsons - 100% dedication to clients no matter the results would always recommend Thompsons. I'd just like to thank everyone involved in my claim for compensation. It's reassuring that organisations like Thompsons are there to help people get justice. Tracy was very helpful and approachable. She was able to answer any queries. I found your help invaluable in explaining things to me which I was not very sure about. In the last few months of my case the communication was brilliant. I knew from week to week what my options were. Keep up the good work your standards are impeccable. You are great people to work with. Everything from day 1 to conclusion was very well handled. Anything I was unsure of was explained to me in a manner that I understood. Nothing was a problem. An event I was not looking forward to turned out to be stress and problem free. You did a great job and I can't thank you enough. Service was excellent. Can't fault the company at all. You explained everything to me - fantastic help. Excellent service and great advice and help. Very positive in all aspects in relation with my case. Very good service. Kept up to date at all times. Pleased with the service! First class from start to finish. Tracy McKenzie worked hard on my behalf and kept me informed throughout! Absolutely delighted with the result. Many thanks to all at Thompsons for all their help in a difficult situation. I would like to thank you for the fantastic service I have been given from the start of my claim right through to achieving my desired outcome, I truly can't thank you enough. I was pleased with the way you handled my case and I would use you again. Thompsons have been fantastic from start to finish. Thank you to everyone involved for all your help! Very happy and a job well done. Thank you. I could not be happier with the service provided. Thompsons stood by me and fought my position to the end despite the many hurdles put in the way. Thank you for all the help and support. Always kept up to date with the progress on the case. Solicitors and QC always explained the procedures of the case in a language that was easy to understand. Won the case. Happy days. Very good service. Laura was 5 stars. The staff at Thompsons are on the ball and helped me from start to finish. The service I got was first class. Great team of people. Thank you so much for your help. You kept us informed at all times. I found Thompsons to be very professional in the handling of my case. First time dealing with solicitors and you made it very easy. Thank you. The service I received from Thompsons solicitors was exceptional. From my first contact until my claim was over I was dealt with in a courteous and professional manner. I was kept informed of any developments in my claim promptly and I would highly recommend Thompsons solicitors to anyone who has a personal injury claim. I would like to thank Thompsons for securing my claim for compensation. They kept me well informed during the process and continued to act on my behalf until a satisfactory result was achieved. I am fully satisfied with the service and support Thompsons Solicitors have given me regarding my compensation claim. I would definitely use you again. Very good service and pleasant to phone anytime. Always returned calls also. The advice was great and was over and done with so fast and stress free on my part. I would definitely use Thompsons again. I can't thank you enough. You were very understanding of our case and very helpful. So once again to all concerned, many many thanks. Everyone at Thompsons was a great help. In my case anything I needed Joel would sort it straight away. From the initial contact with Thompsons, I feel that my case was dealt with in a very efficient, professional manner. Any contact I had with Joanne Goodwin and/or office staff was polite and made me feel that they had their clients interest as a top priority. It was also helpful of them to arrange a Power of Attorney and to point out the fact that to have this put in place would be very useful. I would certainly be prepared to use their services in future and to recommend them to others. I am very happy with the efficient and prompt way you handled my claim. Your services are excellent and I would recommend you to anyone in the same situation as myself and other members of my family. Thank you. I am delighted with the way my claim has been dealt with and would recommend Thompsons to anybody. I was very pleased with the service of Thompsons Solicitors. The solicitor that was appointed to deal with my case was very efficient and helpful. I was also pleased with the final outcome of my claim. My experience with Jayne Crawford was first class, I would recommend Jayne to anyone who I know that needs this kind of service. My husband and I without a doubt would recommend Thompsons Solicitors. We had the pleasure of Wendy Durie dealing with my husband's case which was successful. This was done very professionally and the advice was second to none. I would just like to thank everyone dealing with my late wife's case against NHS and I hope they have learned that my wife was not just a number. My wife is greatly missed by myself, daughters and grandchildren, 2 of which she never had a chance to see. Thank you so much, extremely helpful, communication clear, concise and always in a timely manner. By far the best I have ever come across. Thank you Stewart, impressed. Service was excellent. Well informed throughout the claim. Thank you for your time and great treatment regarding my claim. Staff were always very friendly and always there if I ever needed any advise. Very helpful team! I have been very satisfied with the way Thompsons has handled my case. Jayne Crawford and Craig Allardyce the Counsel involved were both very professional in their dealings with me. I was very pleased with the service Thompsons provided. I was kept in the loop all through the case and was provided with regular updates by mail and phone. Thanks again. The service provided by Gail Miller was excellent in all aspects. Gail Miller arranged for appointments with all specialists and legal teams and regularly kept me informed of how the case was progressing. Near completion of the case I was totally briefed and my position made clear. I would highly recommend Gail Millar and her legal team. I was most impressed by the service I received from Thompsons. This was the second time that I used your office and I would not hesitate to do so in the future. I found the service to be very good. Everybody I spoke to on the phone were very pleasant. I would like to thank Thompsons for all their help in this matter. Every time there was information on my case I was kept up to date all the way to the end of my case. Very pleased. I found the staff friendly and helpful. The communication was excellent. Received a first class service and thanks to all involved who dealt with my case. Highly recommend Thompsons. I found the Thompsons service to be spot on. They kept me informed regularly as we went through different stages. Overall they provided a professional service and reached the targets we both wanted. I cannot fault the service I received from Thompsons, excellent service. I have never had to deal with solicitors previously, but having spoken to you I couldn't have asked for any more help. You explained everything and kept me updated, I was very grateful for that. Thank you very much. Everything was explained to me and dealt with promptly on my behalf. Fast, efficient, easy to contact. Would like to take this opportunity to thank you for helping me with my case. You kept me fully informed and up to date with any development. I found everyone I was in contact with to be very helpful and understanding. I am sincerely grateful and would not hesitate to recommend your company to any friends or colleagues. I found Thompsons service very good. I was always kept up to date with what was going on with my claim. I was very happy with the outcome and the amount of the claim Thompsons secured. I am pleased with the outcome and was kept up to date with matters on a regular basis. The service was 100% I was kept informed of everything that was getting done. All questions were answered clearly. I am very pleased with the outcome of my claim. Joel Shaw and Mr Christine explained the claims procedure to me and answered any queries that I had throughout the process. Although this was a stressful experience it has resulted in a successful conclusion. Many thanks to Mr Shaw and Mr Christine for their excellent services. Great service I will recommend to anyone I know. Very good service and kept me up to date at all stages. Kept us informed at all times - phoning, letters etc...very professional. From the very first discussion I felt the support building. My questions were always answered. Mr Anderson was also brilliant and he fully understood all my injuries very quickly. I would have no problem in recommending or using the services of Thompsons in the future. Thanks for everything. I thought it would be really hard but I am lucky and really grateful with the service. It's great to leave Thompsons in control and I'm glad of the great service I received. I would recommend to friends. Very pleased with the way you handled my claim. I would like to thank you for dealing with my claim. I feel like you dealt with it appropriately and with good efficiency. Thanks again. Really well informed and organised throughout the claim process. I received an excellent service from Thompsons Solicitors. I would definitely recommend this company. Communication skills were second to none. I was delighted with the final result. I would just live to say how helpful and courteous your staff were in dealing with this matter. I would like to say thank you for helping me with this. Very friendly and professional. Very pleased. I would like to thank you for your time with me, I am very grateful to you for all your help and patience with me. I would recommend you to all in the near future you are one of a great company. Thank you. Service was excellent, staff were extremely helpful. Things were made to run smoothly which is very good when you do not know what to do. Thank you very much for your kindness and help. Very friendly and helpful. Before I came to Thompsons I went to another solicitor who told me that there was nothing in my case and I wouldn't get anything from it but Thompsons Solicitors made it possible. Thank you very much. Kathryn Gavin could not have made our claim any easier. Always kept us informed and comforted us with answers to all our questions. We can't thank Kathryn enough. We would recommend Thompsons every time. Thank you again. Excellent service. Good communication and guidance from staff. Would highly recommend. Very pleased with your team as they contacted me only at appropriate times and were not 'pushy' - unlike some of the other agencies that got in touch. Fast case. Great help in all aspects. I was pleased with the serivce you provided and also the outcome of the claim. I would receommend your firm to friends and family in the future. I feel very fortunate that Thompsons took on my claim for compensation. Associate Michael McLean professionalism, friendliness and meticulous approach to every aspect of my claim ensured that my case went smoothly with no problems. Michael's efforts to settle my claim with the later input of advocate Andrew McMillan resulted in a phenomenal amount awarded which I did not expect. Michael is a credit to your company. In fact everyone at Thompsons was very helpful and very friendly and I would certainly recommend you to anyone. My sincere special thanks to Michael and Andrew for your advice from start to finish. I cannot fault the service which was given to me. The service given was very good and kind. I would recommend Thompsons Solicitors to anyone as I was treated very well and anything that I was asked was answered well. Service from start to finish was excellent. There was always someone there for advice when I needed it. I would strongly recommend your firm. Very helpful, I didn't expect my claim to be settled so quickly. I was very pleased with your services, you worked very efficiently and effectively. Thank you very much for your co-operation and next time I will use your services again. I have used your services twice already, very happy. I was happy with your service, no complaints at all. Very professional, helpful, felt like you treated me more than just a case number. Admin/receptionist very helpful. Very pleased with the outcome. I was always confident that the company could achieve the correct result and that I am very thankful. I appreciate all the hard work the staff have put in and I wish you all the best in the future. Hannah Bennett provided a customer focused, professional service and managed successfully to get me a settlement in my personal injury claim. Good service and kept updated on the progress of the claim. Joanne and staff updated me constantly and were always available to answer questions. I'm very happy with the service provided. I was extremely pleased with the service I received from your company. My lawyer and her team were very efficient in dealing with my claim. I am very satisfied with the amount of compensation I was offered. Got the settlement I was promised so happy with that. Very professional and an excellent service throughout the whole process. Thank you very much! Was kept informed with my case and was always told what was happening. Very professional service. I was kept up to date at every stage of the claim process - excellent communication. Solicitors easy to get hold of for advice and udates. Really happy with Thompsons Solicitors. Great service, happy to pass on to friends and family for future advice. First class service and very professional. I would just like to say that your services have been very helpful. I am more than pleased with the company and would highly recommend you in the future. Everything that you dealt with from start to finish was dealt with in a professional manner. I would like to thank Joel, Patrick and Manus for all their time and effort. From the beginning of working with Thompsons (Michael McLean) I was treated with respect and dignity. It was a difficult process to undertake but I can honestly say that I felt supported at every stage. Thank you. I found that the service was clearly professional. I was kept up to date with the progress being made and felt involved. Many thanks to Stewart White who remained positive despite matters being stacked against us. Glen Millar recently took on a case for my husband which we settled out of court, Glen and yourselves were amazing and my mother in law recently used your services also. The service I received has been excellent, friendly and very professional. From start to finish everyone was very helpful. Very helpful and pleasant company to deal with. Thank you to everyone involved in my case from receptionist up, a big thank you. I was very happy with your service and I would recommend Thompsons Solicitors to all my friends. A big thank you to Laura McGee. I have been very happy with the efficient and friendly way I have been treated all the way through my claim, your company has kept me up to date all the way. I was very happy with the outcome of my case. I would recommend Thompsons to my family and friends. My lawyer was fantastic she kept me up to date on my case. Big thank you to Joanne Goodwin who did a fantastic job. Excellent service, great clarity and prompt response. Very helpful and understanding from reception to solicitor. Everything explained in detail. Thank you for everything you have done. Joel has been a godsend. Always there to help in any way he could, his advice was always welcome. The amount of money he secured for me will ensure that I have some savings and a little luxury. I would like to thank Marie McCue as she was very supportive during my claim, she was easily the nicest person to talk to...10/10. I was very happy with the patience of my claim, keeping me informed through each process. Thanks for your sevice and positive outcome. The staff were very helpful and understanding. Excellent communications. We have been delighted with the service provided by Thompsons Solicitors as our case comes to a satisfactory conclusion. At all stages we have been kept fully informed of progress, given very helpful legal support and dealt with in a professional manner. Thank you for all your efforts in supporting our son's claim for compensation following his injury. Thank you for your efficient service and quick response in handling my claim. Pleasant staff and good communication throughout. I felt at ease and confident my claim was being dealt with in a professional manner. I'm happy with the experience. I've never had a problem whenever I phoned the office. Everyone I spoke to was always nice and very helpful. Thanks you have been so helpful I will always come to you. Thank you for all your help. Thanks for Thompsons, I am grateful for the experience and I am thankful for Hannah Bennett. Thompsons were recommended to me by a friend and I am delighted with the outcome they achieved. I was kept well informed at all times by letter and knew that I could phone at any time if I had any questions. On meeting them to discuss court action everything was explained clearly and any worries or concerns I had were listened to and I felt reassured. I would like to take this opportunity to thank Thompsons for all their help. Excellent service. Would highly recommend. Solicitor and staff always polite and kept me informed of what was going on and felt like I had the support of Thompsons, even with the silliest query. My case was completed within the industry guidelines and at the highest standard. The solicitor dealing with my case was very professional and knowledgeable. I would certainly recommend Thompsons or use them again. Service was very good. I did not wait long and the staff were very helpful. First class, no fuss. Got on with the work well. The service and experience was very good, so professional. Excellent service from start to finish. Joanne was very helpful at every stage. Thank you very much. Your service was excellent. I would recommend your firm to anyone. Thanks again. Laura was helpful, professional and always kept me informed. I would certainly recommend Thompsons. A stress free experience. No worries. Great choice of lawyers, well recommended. Well done. Very fast and efficient service. Very professional firm. Everything was dealt with very quickly and I was kept informed of what was going on throughout my claim. Thank you for helping us with our claim, very happy. I am very happy with your service, you got things settled very quickly. I want to thank you for the outstanding work you done for me, I would recommend your company to friends and family. Thank you very much. Everyone I spoke to was very professional. Excellent service, happy with the outcome. Thank you for being so accommodating as I had to take so long to respond to mail due to my work commitments. I just received the cheque. I would like to thank you and your team for all your hard work, patience and professionalism when dealing with my case. I would say that I have been fully compensated financially, in fact even better than first expected. Just to confirm me and my mum both received our cheques today, many thanks for dealing with all this you have been a great help so thanks once again. Very pleased with the service you provided. Felt very at ease and comfortable at any appointments and interviews. You run a totally professional service to clients. Recommended to anyone needing a lawyer, really good at their job. Pleased with service, staff very helpful. Prompt and courteous communication at all times. Customer interest always a priority. Acted on my behalf with utmost urgency. Very pleased with the outcome of a situation I was led to believe was over and done with. Very happy with the service I was provided with. Felt I was kept up to date with all aspects of the case. I have been treated with understanding and kindness every time I've been in contact with yourselves. Very good service and always very pleasant girls to talk to, so thank you for your help as I have never done this before, but I was reassured by you all the way. Thompsons were very willing to explain things if I didn't understand what was being said which was very helpful and showed great patience. I found you informative and helpful at all times. I think it is lucky that the service is available for public use. Very happy with the service from all staff. One phone call and everything done for me, Fantastic service. Very good stress free experience. Good professional service. Excellent customer services when calling. Solicitor was helpful and explained procedure very well. Overall everything was quick and professional. All staff I spoke to were very helpful and polite. I would like to thank you for your services and the way I was treated. I can only say thank you and I would be pleased to use you again if I ever needed you and I'll recommend you to my friends and family. Thank you very much. Service and help has been excellent. I want to say that I am grateful for all your help with my case and my claim for compensation and what I am getting and I want to say thank you very much for your help. Very clear and straight forward process. I have never claimed anything like this before but your company has proved its worth, thank you. Very good service, kept well informed. I think the service you provided was excellent and would have no hesitation recommending your service to a 3rd party, I will keep your details on file. Pleased with the way I was dealt with and when I asked any questions was given an answer right away. Very pleased with everything throughout my case. Everyone I dealt with was honest and profesional and always answered my questions or concerns I had. Happy with the outcome and all the advice I was given. Thanks. I was very pleased with the service provided during my case. Very good service corresponded with me at all times. Excellent service and care provided. Friendly and helpful staff who kept me dated on my case. Thank you for a very professional and courteous service and a satisfactory outcome. Solicitor was always available when called. Secretary was very helpful, telephone staff very pleasant and helpful too. Very happy with the service, very helpful and polite would recommend services to others, very very happy. We could not have been happier with the service provided by Roz Galloway. She kept us updated at all times and we were very happy with the end result. Was very pleased with your service. Very helpful and friendly, explained everything clearly. We have never been pressured into doing anything. We have been advised every step of the way and informed fully of any changes. Found the serive very helpful and without yoour help we wouldn't be where we are now. Delighted with the service, very helpful and kept me informed all the way of my claim. Good service, communicate information very well. Professional, efficient service, would not hesitate to recommend. Very good service provided, dealing is quick enough, nice and pleasant and personal. Every stage was explained so well, Contact and updates was great regarding my case. Would totally recommend. I am writing to confirm receipt of my compensation cheque. I would like to thank you so much for all the help you have given me regarding my claim. I have been grateful for your advice along the way. You do a good job for Unison members. Thank you once again. Any communications I had with the office was dealt with professionally. Very courteous/mannerly. Put me at ease. Thank you. Thank you for all the help you and your team have given us much appreciated. Very good all round service. very pleased with the outcome of the claim and more than happy with the compensation received. Very professional in your service towards customer relations (care). I would use Thompsons time after time. I have had nothing but satisfaction from start to finish. So much so that when my daughter had her accident in her car down south in Essex I had no hesitation about telling her to contact Thompsons. I would like to thank you for your professionalism on handling my claim and getting me compensation for my accident. You restore faith for people like myself who have been hurt through no fault of their own. Roz was very very helpful and understanding and kept us up to date at all times. We will and have been highly recommending her and Thompsons to everyone - once again a big thank you. I would like to thank Jayne Crawford for her help in winning my case, great solicitors to fight for me also for the up to date phone calls made to me. I would recommend Thompsons to anyone needing help, a real credit to all. Gail and her colleagues were extremely helpful, rigorous and informative. 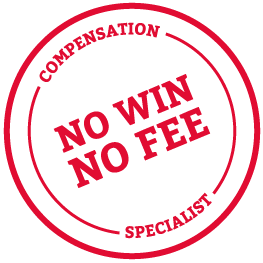 I had never been involved in seeking compensation before so I had reservations to start with, but I soon felt comfortable with the case because of Gail's re-assurances. Hopefully, I will never need to claim compensation again, but if I did, I would have no reservations about using Thompsons. Thank you for all your help. Thank you for everything Thompsons and Jayne Crawford has done in order to get me fair settlement. They took great care of me and made sure everything was taken care of. Jayne Crawford has been great to work with. I was impressed by highest of ethical standards, she was quick to respond to any question I had. She has helped me every step of the way with my case. Very professional, very satisfied. Thank you Thompsons Solicitors. I would like to confirm receipt of my cheque and thank you for the time spent on helping me with my case. I'm just emailing you to thank you and everyone who assisted you in your hard work over the duration of my claim and I am delighted with the outcome. Thanks again. Very pleased with advice and service given. Good guidance at all times. Excellent outcome for my case and was handled expertly. Just to let you know I have received the cheque and would like to thank you for all your hard work its much appreciated. I would like to thank you for the effort you have put in throughout my claim and always keeping me up to date all your help is much appreciated. Very efficient and prompt in settling my case. Thanks again and keep up the good work! Overall, everything was quick ad professional. All staff I have spoken to were very helpful and polite. I am so impressed with the service at Thompsons and the curteousy I was shown. I feel they went the extra mile so thank you for everything. The outcome is wonderful. The service I received was excellent! Joanne Goodwin, I would like to say thank you so much. My claim was handled quickly and I was always kept up to date. Definitely will recommend. Thanks again. Joel has been a godsend. Always there to help in anyway he could, his advice was always welcome. The amount of money he secured for me will ensure that I have some savings and a little luxury. I am very pleased with the way Jayne handled my case. I have never been through anything like this before, Jayne and her assistants were very thorough at explaining things to me and answering any questions that I had. I would like to say thank you to Jayne and Thompsons for winning my case for me. We would like to take this opportunity to thank you so much for assisting us, during the handling of our case you were so considerate to us, we appreciate everything you did. Just to confirm that I am in receipt my cheque for full and final settlement of my claim. May I take this opportunity to thank you once again for your help with dealing with my claim efficiently and professionally. Very helpful in dealing with my claim and how quickly it was dealt with. Excellent service. Would highly recommend. Solicitor and staff always polite and kept me informed of what was going on and felt like I had the full support of Thompsons, even with the silliest query. One phone call and everything done for me. Fantastic service. I found everyone very helpful and answered all the questions that I had. Good service. Kept informed. Clear Information. Pleasant easy dealings, 100% satisfied customer, thanks. Prompt and excellent service. Very happy with the outcome. Good communication. Thank you. I found yourselves to be efficient, updates & feed back were regular. Each stage was executed without feeling misunderstood. I think we shared good communications and of course I was happy with the outcome. Thank you. We were happy with the service we got from you and your company. Good professional service. Excellent customer services when calling any queries. I was pleased with the service we received from your company. Marie McCue was very pleasant and helpful. Everything was explained to me as the process went, felt reassured. I would like to thank you for your services and the way I was treated. I can only say thank you and would be pleased to use you again if I ever needed you and I'll recommend you to my friends and family. Thank you very much. I was very happy with the service I received. The lawyers I dealt with were very pleasant, professional and helpful. Your service has been exemplary and I would not hesitate to recommend yourself and your company to my many friends and relatives, thank you for your assistance. Was gobsmacked when I got the cheque through, didn't expect it would be such a large amount. The standard of service I received from Roz Galloway was excellent. I was kept up to date, and supported throughout the process in a friendly, professional and efficient manner. I was delighted with the outcome and would definitely recommend Thompsons to friends and family should an occasion arise. Just to say thank you very much to those involved in my claims case. The money received was more than expected. Everything was great, couldn't have got it any better. I would like to thank you for your professionalism on handling my claim and getting me compensation for my accident. You restore faith for people like myself. Very good in all aspects, I would certainly use these lawyer's again if need 100% pleased. Very satisfied with the service received, attentive service. Very straight forward company to deal with, would definitely recommend to others. I am writing to you regarding Associate Michael McLean, who was assigned to me by your company to pursue my personal injury claim which was highly successful. Michael's dedication and meticulous approach for our initial meeting to our final day in court was paramount in the success of my claim and I feel that I should bring this to your attention. Being employed as a joiner and working on building sites since I was fifteen, I did feel extremely apprehensive about the whole process, particularly having to deal with lawyers, however Michael really set me at ease and I felt like I was communicating regularly with a friend and not a lawyer. He gave me frequent detailed updates, answered questions without delay and continuously took time to fully explain the legal process and stages in simple terms to ensure that I completely understood. During our demanding four days in court and the days preceding, Michael was a rock to myself and my wife. He was extremely supportive and nothing was of any trouble, he certainly went above and beyond our expectations. I would also like to mention Advocate Andrew McMillan. He too was committed to my case and highly approachable. I am aware that he is not a direct employee but together Andrew and Michael were a formidable team. Thankfully the result was in my favour, however if it had went against me, I would still be writing this e.mail as both Andrew and Michael did not leave any stone unturned. They could not have did anymore than they did and in my opinion are both a credit to your company. Very efficient, helpful and went about their business with great clarity. The service of Thompsons on my behalf was excellent regarding my situation. At all times I was kept informed of my claim and how matters were progressing. There is no improvement very professional and really good to deal with. One thing I like overall about dealing with Thompsons was anytime I phone your offices someone phoned me back everytime that was 10/10. Excellent service nothing bad, all positive from start to end, thanks. I am very satisfied with the service that Thompsons provided and will at some point be in contact with you again. Thanks for all your help. Can't think of any way you could improve your service. Also, I have instigated a 2nd claim via you; which is only in the initial stages. I would like to thank you for getting in touch with me. I didn’t know it could be done so many thanks for your efficient good service provided. The amount recovered exceeded expectations and I have already recommended a friend to Thompsons. I don't think there was much more you could have done to improve. I was very pleased with the service. Will recommend friends who need your service. Thompsons worked hard on my side and I am grateful for that. I changed my career and I hope it’s for the better, anytime I wanted to speak to VA she was there I did not feel any barriers were in place and she was friendly, informative and helpful along the way. I would consider putting your name forward to anyone I know who is as unfortunate as me to have an accident at work or injure themselves anywhere in a working environment. I was very pleased with the service provided and was kept fully informed throughout the process. The experience has been conducted in a stress free way which we are gratefully thankful for. Great service and communication, would recommend to all, also friendly and experienced. Thank you. Thank you all very much for your help. I will recommend you to my friends. I don’t think you need to improve your service. I have been very happy with the way I was dealt with. I think it was a great service. A Big thanks to You and your team for handling my claim efficiently. I have received the compensation cheque on time. Your guidance and services were exceptional. The support I received from Thompsons was excellent. I was very happy with all aspects of your service, thank you. If it was not for people like you to help me or old people doing all the paper work. I would like to thank you for all your help. I give you 100%. Very good. I would like to thank you very much for dealing with my settlement case and please pass on my thanks to all the staff. I was very satisfied with the advice givenby Jayne Crawford in relation to my claim. During what was a difficult and stressful period her support was welcomed. Prompt and great service would use again no bother. Completely satisfied with your service throughout. Many thanks. Marie Donald was very welcoming and easy to talk to, she helped us understand more how the injury claim worked, we received 100% from Thompsons services. Thank you. I'm very happy with the outcome, everyone I spoke to were very helpful. I didn't expect the compensation I got, got it put away for a rainy day. I'd like to thank all that helped with my case. Your staff were courteous and pleasant. Very happy with service and outcome of the claim, thank you! Very professional received much better outcome from claim than I anticipated. Always kept updated. Will recommend you in future. The final compensation exceeded the expected result and the time was some six months inside expected date. Service was excellent. No complaints whatsoever. I find it very hard for Thompsons to improve the service they carried out. I would be grateful if you could thank Isla Tollett for the way she handled my claim. Thompsons Solicitors carried out their service in a professional, courteous manner. We were pleased with the outcome of our claim and can't thank Thompsons enough for dealing with this on our behalf and would not hesitate to use them again should a situation ever arise again. It was a pleasure to deal with your company. Everyone was so helpful and pleasant. I would certainly use your company again and will recommend it to anyone who needs help. Miss Aquino was excellent and nothing was a bother to her. Brilliant result. Was so happy when my cheque came through. I would recommend your services to my friends and family. I was completely satisfied will definitely recommend you to anybody I hear that would need your services. I think Thompson Solicitors are the best team, and their procedure was in my case very satisfactory and very clear. I really appreciate to others to use Thompson's service in case they need to. Thanks. Great service. Listened to and acted in my best interest, kept in touch during the process and couldn't have been more helpful. I'm so happy that I picked Thompsons Solicitors because the service was very good and excellent communication. I was extremely impressed with the service which was consistently courteous and professional. Thank you very much for all your help and support in my compensation claim. Your years of work on my behalf went above and beyond expectation. I would recommend your company to anyone. I cannot thank you enough. With every best wish from me and my family. I would like to take this opportunity to thank you for all your hard work in achieving this satisfactory result with my claim. I was extremely happy with the way my case was handled and would certainly recommend Thompsons to friends, family and work colleagues. The service from Thompsons was first class. My lawyers dealt with everything including setting up hospital appointments. They kept me well informed throughout and I am more than happy to advise anyone to use them. They got me a settlement I was really please with. Thank you Thompsons. After a traumatic incident at my work that left me injured and very low in confidence my union put me in touch with Thompsons. My lawyer was very kind and supportive and with her help I was able to win compensation as well as gain the confidence to go back to work again. Thanks you so much for such a great job. Very good communication, best service very positive for all Thompsons Solicitors. Dear Ms Durie, I thank you for your letter enclosing the compensation cheque to the value of £70,000, may I take this opportunity to thank you for your successful work on my case. May I also ask you to pass on my sincere thanks to Mr Hugh Campbell for his input and expertise in finalising on my behalf such an unexpected amount. Once again my sincere thanks. Thompsons service was great, I was kept up to date every step of the way. Thompsons were friendly and helpful. I would recommend them to people in the future. As I’ve never been involved with a claim against any company over my life’s working time, it is, as you know, all new to me. In the end I would like to say that my solicitor, Jayne Crawford, did a thoroughly and wonderfully professional job from start to finish and kept me up to speed in on her progress in my case. It was a really interesting outcome and rewarding for me. I do think Jayne Crawford was very, very pleased as well and I can’t thank her enough. Absolutely well done, professional job!! The service I received from Chris Gordon was very good. I found him to be very professional and his secretary was always very helpful when I needed to phone. I have nothing but praise for Janet Keenan at Thompsons who handled my case most professionally and with courtesy at all times. I had every faith in her and she kept me updated in all aspects of my case. I am delighted with the outcome and would not hesitate to recommend Thompsons solicitors. I never expected to receive as much as I did, I have already recommended a friend. Have recommended you to several friends and colleagues and mentioned your company to patients. I was injured at work because my bosses hadn't given me the right training. My trade union put Thompsons on the case and I was really chuffed with my compensation. Thanks Laura for everything, I'm glad I took your advice. The service I received from Thompsons was 1st class. Thompsons dealt with everything, including setting up hospital appointments. They kept me well informed through out and I am more than happy to advise anyone to use them, They got me a settlement I was really pleased with, thank you Thompsons. As I’ve never been involved with a claim against any company over my life’s working time, it is, as you know, all new to me. In the end I would like to say that my solicitor, Jayne Crawford, did a thoroughly and wonderfully professional job from start to finish and kept me up to speed in on her progress in my case. It was a really interesting outcome and rewarding for me. I do think Jayne Crawford was very, very pleased as well and I can’t thank her enough. Absolutely well done, professional job!! I have nothing but praise for Janet Keenan at Thompsons who handled my case most professionally and with courtesy at all times. I had every faith in her and she kept me updated in all aspects of my case. I am delighted with the outcome and would not hesitate to recommend Thompsons solicitors. The service I received from Thompsons was 1st class. Thompsons dealt with everything, including setting up hospital appointments. They kept me well informed through out and I am more than happy to advise anyone to use them, They got me a settlement I was really pleased with, thank you Thompsons. Mr Stewart White was not only down to earth but extremely professional and very knowledgeable about every detail. I do and will continue to recommend to everyone who could use your company. When my last lawyers decided to drop my case a friend recommended Thompsons. Thompsons won my case and I got a far bigger payout than I'd hoped for. After I had an accident at work my colleagues recommended Thompsons so I decided to give them a call. I'm glad I did as the payout was much larger than I expected. The amount recovered far exceeded my expectations. I suffered a lot of pain after my accident at work and it really affected my confidence. I was really nervous about dealing with lawyers but Thompsons were very friendly, made me feel welcome and put my nerves at ease. In the end I was really pleased with my pay-out. The service was very very good. My Lawyer, Sarah Young, was always prompt in getting back to me and I never felt that I was being kept in the dark over anything. God forbid if any friends or colleagues were involved in a similar accident I would happily recommend Thompsons. My case was handled extremely well, and the delays that occurred in settling matters were completely out with the control of your staff. My solicitor and the company were very helpful and friendly. I would definitely use your service again, and I would definitely recommend it to other people. The overall satisfaction exceeded my expectations. The way my claim was dealt with I do not know how you could improve your service. Completely satisfied in every way. I think Thompsons Solicitors are the best team, and their procedure was in my case very satisfactory and very clear. Thanks. I have recommended you to 3 friends and colleagues have now taken up claims with you. Very efficient and kept me up to date throughout the process. Thank you! Considering it was a very stressful time and situation Thompsons did very well to make the whole process easy and hassle free. Very grateful and I’m impressed with the service I received. Actually the amount recovered was considerably higher than my expectations. You as a company provide a good value service and I was surprised how easily contactable you were. All my updates were good as a whole 10/10. Delighted, simply delighted with the service from Thompsons. I had no experience of lawyers before this but it was all made simple and they really were a friendly bunch to deal with. What happened to me really put me through the mill which is why their friendliness and care for my welfare helped so much. The payment was almost double the amount originally discussed I will gladly recommend your services. Extremely happy with the service. Really wish I had known about Thompsons with a claim I had a few years ago. Very happy with the outcome, have recommended to my friends and family. I was very satisfied with my claim. It was dealt with in a professional manner but with an understanding approach. I always felt that people were on my side and any questions were done for my benefit. Very good service & always kept in contact with me. I was given exceptional service from Thompsons. I would recommend their services to anyone with a legal issue. Thompsons were a huge support to me. I was kept up to date with any development on my case and got the result I wanted. When my friend needed a lawyer I recommend Thompsons to her straight away. The service I received from your firm was very good. I found you to be very professional and always most helpful when I needed to phone. We wish to thank you and your staff at the office for all your help and support. I wanted to say how impressed I have been with you and your company, Thompsons. The service was exemplary and I can't recommend you highly enough. Fast, professional and totally 'on the ball'. A very welcome bonus for my decades of union membership. Insurance companies aren't easy people to get money from. They don’t like paying out claims. But I had Thompsons on my side and they made sure that I was properly compensated. Thompsons were a huge support to me. I was kept up to date with any development on my case and got the result I wanted. When my friend needed a lawyer I recommend Thompsons to her straight away. They're first class. I am writing to you today as a letter of thanks. Since the onset of this case I have found that your firm has given me the best service that anyone could have, nothing has been any trouble for your firm despite all the obstacles that my previous employer put in your way. As you and your team attained the best award possible I and my family would like to thank all your staff from juniors to your advocate, as the award will give me and my family security for sometime I will finish by wishing Thompsons the very best for the future and if I need advice for any injury I will know where to come it will be Thompsons. Thanks for your e-mail and all the time you have spent on this case, on behalf of my wife and I thank you very much. John Murphy, 19th March 2014. Many thanks for your help and straight forward process for this claim, it is very much appreciated. Victoria Findlay, 15th March 2014. I was initially very reluctant to pursue any claim as I’d dealt with lawyers in the past and had found the experience difficult. But I was encouraged by a colleague to call Thompsons and speak to them about the road accident I’d been involved in. I found the team at Thompsons completely difference to my previous dealings with lawyers. They were very polite, kind and efficient. My case was settled very quickly, much faster than I expected and I was very happy with the outcome. I was extremely nervous about taking out a claim against my employer when I was injured at work as I’ve never done anything like that before. I’ve always thought that things involving lawyers and the law were complicated and difficult to understand. Right from the beginning Thompsons put me at my ease and explained things to me in a really clear and simple way. My lawyer, Gail Millar, was really patient and kind and made sure that I was well informed all the way through the process. One of the things that impressed me most about Thompsons is that despite me moving from Edinburgh to the Isle of Mull during my case it presented no problem to them. It was obviously very difficult for me to get to Edinburgh from Mull to attend meetings but Gail was always there on my behalf and made sure I was kept fully up to date. When my case was settled I was extremely happy with the outcome and I have to say that Thompsons could not have been kinder or more professional. Mrs Jane Esson Isle of Mull, 27th February 2014. We just want to thank you again for doing such a great job on this for us and making sure we got an end value in the case that was much more accurate than the first firm of solicitors we went to were happy to settle for. We would certainly recommend yourself and your firm to anybody who is looking for a lawyer and we thank you for your help. Sian Manning, 10th February 2014. I write to acknowledge safe receipt of my compensation cheque. I would also like to take this opportunity to thank yourself for all the assistance I received during my claim and information was provided when required. Yours sincerely S Grant, 7th February 2014. Thank you Wendy and Shona for all your help with my compensation claim. Hope the scratch cards are lucky! Elizabeth McLean, 4th February 2014. Thank you so much for your phone call yesterday. I am absolutely delighted with the settlement figure that I was offered. This is down entirely to your dedication, tenacity and hard work. You were so thorough in your research into my case, and consulting with a range of experts in various fields meant you built up a great case. Whilst the damage cannot be put right, this has certainly put a smile on my face - still smiling now! I will certainly be recommending you to my friends and family when they need a good lawyer. Kind regards, Gwen Hamilton, 31st January 2014. A Hesselmann, 30th January 2014. To everyone concerned with my compensation claim, on behalf of my wife and myself I would like to to thank you call most sincerely for all your hard workd on my behalf, we are very grateful with all, our best wishes for the future. Thanks so very much Mr & Mrs O'Neill, 28th January 2014. Many thanks for your assistance with my case. Your hard work and efforts are greatly appreciated. I acknowledge safe receipt of your letter with enclosed compensation cheque for £3,280 in full and final settlement of my Vibration White Finger claim. May I take this opportunity to thank you and your team for all your assistance in this matter. This compensation settlement has been a great help to me and my family and we really appreciate all your hard work over the years. Once again thank you. My wife and I would like to send our heartfelt thanks to Thompsons Solicitors for their help in carrying out work on our behalf after the death of my wife's mother and stepfather. Please pass our personal thanks to Mr Scott Dryburgh who visited us at our home and explained the situtation to us and gave us peace of mind, he is a credit to your business. As we are both retired the monies that have been recovered have come in very handy. Once again thank you from us both to all involved within your business. My sincere thanks to you and your staff for the efficient manner in which you dealt with my late father's compensation claim. It is much appreciated. I would like to take this opportunity to thank all at Thompsons Solicitors for their help and assistance over the period of my compensation claim. Thank you for all the hard work and patience you put into my case. When I phoned, you always took the time to explain things to me. I am delighted with the outcome, I really didn't expect much!!! Thank you very much to Thompsons Solicitors, especially Jayne Crawford and Glen Millar for their efficiency, commitment and perseverance, in their handling of my compensation claim and obtaining a satisfactory settlement. Thank you for your recent letter. I wish to acknowledge receipt of the cheque you enclosed for £3,000 which is in settlement for my compensation claim against GCC. I also want to thank you for writing to my Union, Unison to advise them of the outcome of my case. I am surprised and delighted with the final compensation settlement and I am sincerely very grateful for your assistance in this matter. Derek, My colleague, Brian and myself would like to thank you and Andrew Henderson for the work you put in towards gaining us our compensation settlements in our actions against Glaxo Smithkline. Over the three years there were a few ups and downs and it was an experience neither the two of us had undergone before. However, all's well that ends well, and the both of us wish you well in your new position in Edinburgh. Have a great career Derek and once again, thank you for all your help and expertise. I am writing to let you know that I am willing to accept the offer of £10,000 in relation to my compensation claim. I would like to thank you for all your assistance in this matter. Dear Tom Marshall, I and my family would like to express our appreciation to you and everyone else who put so much effort into securing us such a large sum of compensation. It far exceeded my expectations and I am sure it would have pleased my husband Robert as his only anxiety during his illness was for my financial welfare. We would all so much rather have Robert with us as he was quite unique such a warm personality with a great sense of humour and just lived for his family. We all have lovely memories of him so this helps to get through life but without people like you acting on our behalf we would be so much less secure so our sincere thanks goes to you for doing such a great job. With much appreciation, Catriona Ure and Family. Dear Jayne Crawford, I wanted to write to thank you for all the work you did during my recent case. It has been a long hard struggle to deal with the trauma of being in such an incident. I was daunted by the situation of taking legal action and with the possibility of ending up in court. Your kindness, reassurance and professionalism made what was a very difficult time a lot less painful. During the latter more stressful parts of the case your support, in my opinion, went above and beyond the call of duty. If you could also pass on my thanks to Craig the advocate involved in my case I’d be grateful. Your teamwork was very much appreciated and I now feel I can move on with my life and close the door on this particular chapter. On behalf of myself and my family, I would like to take this opportunity to say a heartfelt thank you for all you have done and for the sensitive way in which you handled our case. Your caring approach was very much appreciated and I can honestly say that I think mum will be looking down and smiling at what we have achieved through your hard work. My family can now start to put this sorry mess behind us and move on with all our wonderful memories. Thank you so much for enabling this to happen. I am writing to thank you for all your help in getting my road traffic claim settled. I received my compensation cheque yesterday. I would like to thank all staff, they were very helpful and kept me up to date with everything going on. If I ever require help in a legal matter I would definitely use you again and would recommend your firm to all my friends. I gratefully acknowledge the receipt of the compensation cheque. I would also like to take this opportunity to once again thank you for all your hard work on my behalf. Dear Thompsons, Thank you very much for getting the compensation for us, the staff are an asset to the company and I would refer your service to anybody looking for a good firm to deal with anything relating to compensation or otherwise. Thank you again and I hope to use you again. The professional and excellent communication with your staff must be commended and because of this I wouldn't hesitate to recommend Thompsons or use their service again. We might very well have accepted the offers of compensation after the car accident if Thompsons had not advised us that they could achieve a better settlement figure. The car crash was a very frightening experience and I really appreciate the way Thompsons dealt with our compensation claims. I would like to say a final thank you to everyone involved in the management of my case and would highly recommend Thompsons for their professionalism and friendly manner. I just wanted to thank you for all your hard work, i am very impressed by the quality of the professional service that you provide. I would like to recommend yourself and your organisation to friends and family should your services need to be called upon. Once again thank you very much. Thanking you so much for all your help regarding my recent claim for compensation. I am very grateful to you and the Union for obtaining this settlement. A big thank you for all your input and hard work into my recent tribunal, it took a lot of the stress away from myself and family. I was very pleased with the outcome, I have recommended Thompsons to other people who may need assistance. Following the ending of our case, this is simply to thank you for a great job and particularly for your hard work and all your patience with the infinite questions and emails around our case. I wish you all the best for the future and hope that we can meet someday (preferably with no litigations involved!). After careful consideration I have decided to withdraw from the proceedings. This is due to the fact that I will not be able to attend all 6 court dates and also not sure if I could put myself through any more trauma. I am satisfied that I have done enough to make South Lanarkshire Council think twice about treating people with such disrespect. I still feel as though I was forced out of my job and had no other option but to look for work elsewhere for my own sanity as the Council seemed to be able to do nothing to alleviate the situation in the office while I was there. It speaks volumes that the office environment and managerial roles have changed so much since I left!! I think they knew I was right but didn't want to admit it. Thankfully I am in a much better place now and in an office where I am treated with respect and where people genuinely care about my well-being. I really feel part of a team. Thank you so much for all your help and support in this matter. Please pass on this message to whoever else is involved in this case. I would certainly recommend yourself and your company to anyone who finds themselves in a similar situation. Just a short note to thank you for all the support, compassion and professionalism that was shown to my husband and I when we first met shortly after my husband's diagnosis and more recently towards myself and all of the family. Words cannot express the way in which you and your team at Thompsons dealt with matters taking sole responsibility from us during my husband's illness and latterly at such a difficult time for all the family. Widow of mesothelioma victim, Falkirk. Thank you for my compensation cheque. I am very satisfied in the efforts you have gone to in securing me such favourable compensation. I will be writing to our Union Unite to say that your efforts have been absolutely great, Thompsons Solicitors are a credit to their profession. Thank you very much for all the work you have done on our behalf. We didn't expect a cheque of this size so it was a welcome surprise.